The Rakes of Cavendish Square Trilogy–Updated! Exciting news for those of you who like to listen to your books, all three novels in The Rakes of Cavendish Square Trilogy will be available in audiobook editions. The Bedding Proposal (Book 1) is available now, with Esme Byron’s story, Happily Bedded Bliss (Book 2), coming spring 2016! Posted in Read All About It | Comments Off on The Rakes of Cavendish Square Trilogy–Updated! New Excerpt, Contest and Website Update! Read an exclusive excerpt from The Man Plan and sign up for a chance to win an audiobook of Her Highness and the Highlander! (see Tidbits/Contest). 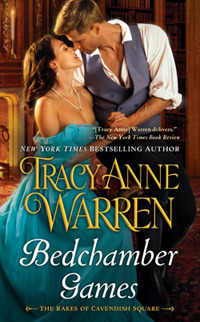 While you’re visiting, also see what Tracy Anne is reading right now in What I’m Reading. Posted in Read All About It | Comments Off on New Excerpt, Contest and Website Update! The Princess and the Peer available in audiobook! For those of you who enjoy listening to your books, The Princess and the Peer (Book 1 in the Princess Brides Trilogy) is now available in audiobook from Tantor Media, Audible. com and other book retailers! Her Highness and the Highlander (Book 2 in the Princess Brides Trilogy) and The Trouble with Princesses (Book 3 in the Princess Brides Trilogy) are also scheduled for release in audiobook. I will post release dates for books 2 and 3 once they become available. Posted in Bon Mots | Comments Off on The Princess and the Peer available in audiobook! See all the new updates including the cover for Her Highness and the Highlander, the UK covers for the Mistress Trilogy, links to buy the audiobook version of The Princess and the Peer, plus a new contest!